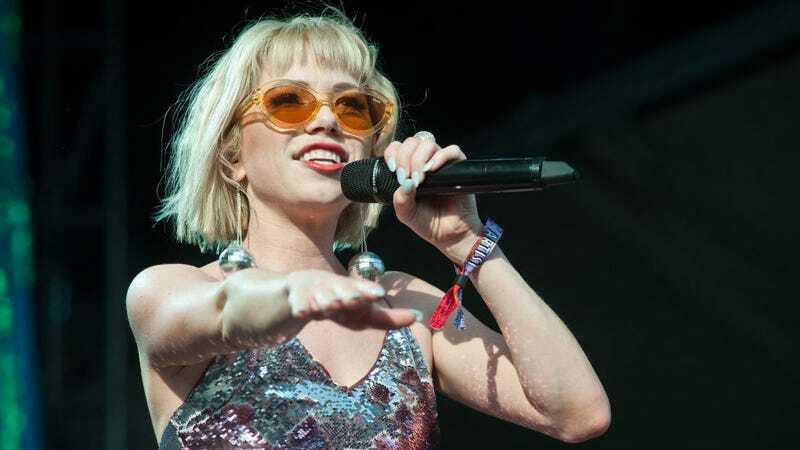 It’s been four years since “Call Me Maybe” songstress Carly Rae Jepsen came into her own with E*MO*TION, a kaleidoscopic, ‘80s-leaning release that wove sophistication into its starry-eyed bangers. Jepsen’s dropped a few singles since then, from “Cut To The Feeling” to “Party For One” to the “Now That I Found You,” which came with a Shrampton-starring video. Now, the singer’s announced Dedicated, a new LP slated for a May 17 release via School Boy/Interscope Records. “Now That I Found You” will join its accompanying single, “No Drug Like Me” on Dedicated, which otherwise remains an enigma. It will send Jepsen on a summer headlining tour, however, which kicks off in Anaheim on June 27. Check out the full list of dates here before tickets go on sale this Friday. If you pre-order Dedicated here, though, you can scoop up your tickets tomorrow, April 2. Revisit Jepsen’s “Party For One” video below.